An online trading system refers is a electronic marketplace where clients can connect and post orders to buy and sell specified products. For the purposes of this specification, the trading system is required to support a single product to exchange. The trading system deploys a gateway for clients to connect to the trading server and send and receive messages. The trading server, or trading engine, is responsible for processing new orders received, placing them in an order book and executing a matching function on the order book. These functions occur whenever the trading server receives a new order. The trading system accepts orders from clients, sending acknowledgements, ACK’s, or negative acknowledgements NACK’s, in response to communicate receipt of the order or rejection of the order to a given client. If the match function results in actual matches of buyers and sellers, the trading engine will communicate fill messages back to the parties involved in the transaction. Normally this would be a secure communication between the server and the individual clients involved in the transaction, but this specification only requires that the fill message contain unique identifiers for the buyer and seller (and that the buyer and seller client programs process only the fill information that is related to their unique identity). Whenever information passes into the trading engine that results in material change in the state of the order book, the trading engine will publish market data messages. These messages are anonymous and represent aggregated data. The last message will include the price, quantity and time of a fill or trade, the book message will contain up to the top three buy and sell price levels (after all matching has resolved). 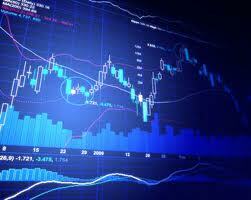 Online Trading is aimed at developing a web-based system. In this system the person can sales online and do many things. The details of all the things are made available to them through the website. This website provides online help for legal queries. This website helps all the users to view the registration. The user can post thread in the forum. The system is user friendly.